High altitude, large temperature difference, dry weather, broken stones and snow, Afghanistan has the harshest natural environment for ground weapons and soldiers. 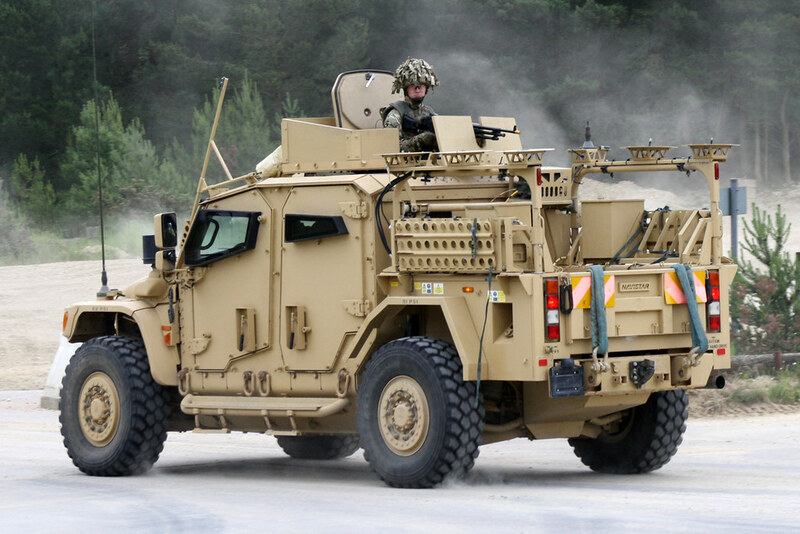 In response, the shrewd British has chosen a special light-weight vehicle for their famous and professional army. The vehicle was derived from the heavy pickup trucks of the U.S. company Navistar. It can be transported by the C-130. It has better cross-country capability than normal wheeled vehicles and can be easily modified. 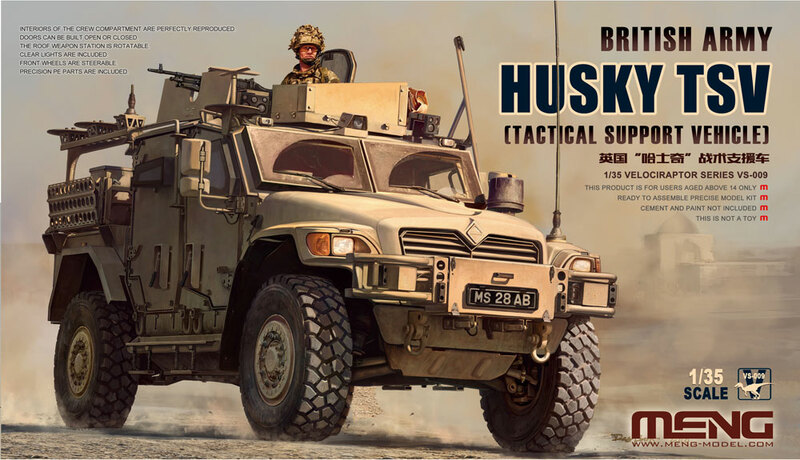 The British Army named this vehicle after the working dog Husky in the Polar regions. This MENG VS-009 British Army Husky TSV (Tactical Support Vehicle) plastic model is 183mm long, 81mm wide and 85mm high. This kit has a total of 320 parts. It features perfectly reproduced interiors of the crew compartment. Doors can be built open or closed. The roof weapon station is rotatable. Front wheels are steerable. Like other MENG kits, it also has clear lights and find PE parts.